Urine testing is part of a medication-assisted opioid treatment program in Bakersfield known as Groups. 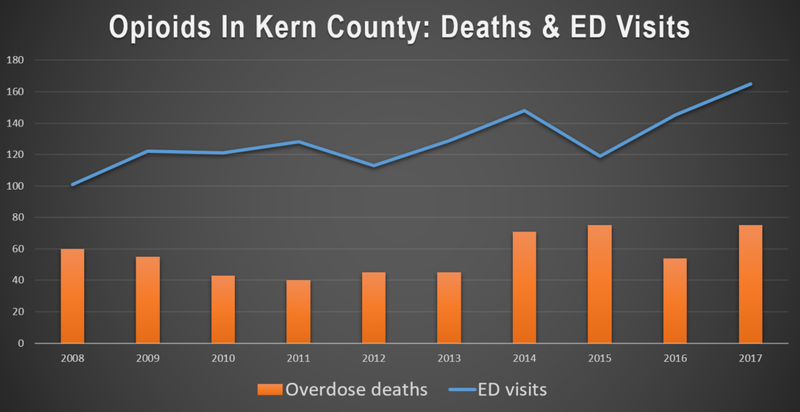 By some estimates, as many as three-quarters of Kern County residents with opioid use disorder are unable to access the treatment they need to recover. This story is the first in a series of reports called In Recovery, about opioid addiction and treatment in the San Joaquin Valley. It was reported with the support of a 2018 Data Fellowship from the USC Center For Health Journalism. The sun is fading on a Wednesday night and people are trickling quietly into an office behind an unassuming parking lot in Northern Bakersfield. Inside, bright yellow chairs and plastic flamingoes lean against turquoise walls and Tom Petty’s on the radio. A chipper administrative assistant named Mary Lora greets people as they walk through the door. 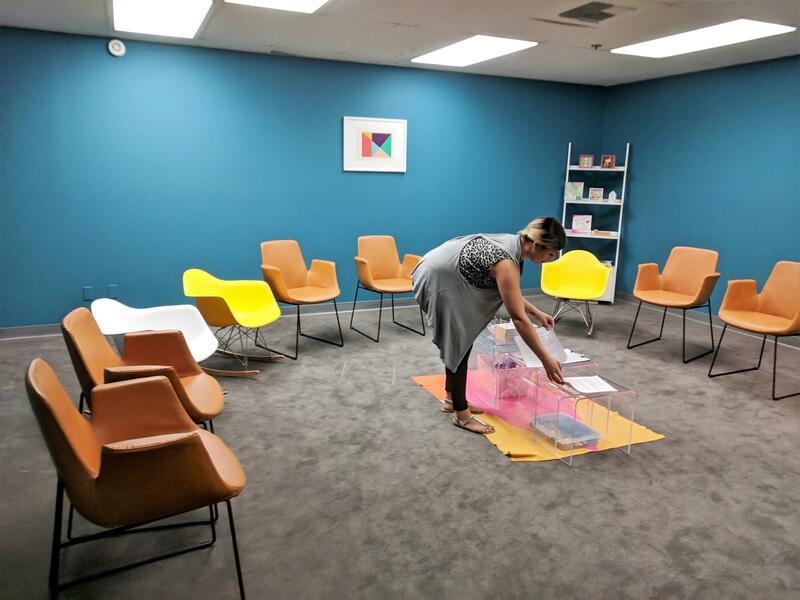 Substance abuse counselor Ariel Turner prepares for a weekly group session at the Groups clinic in Northern Bakersfield. 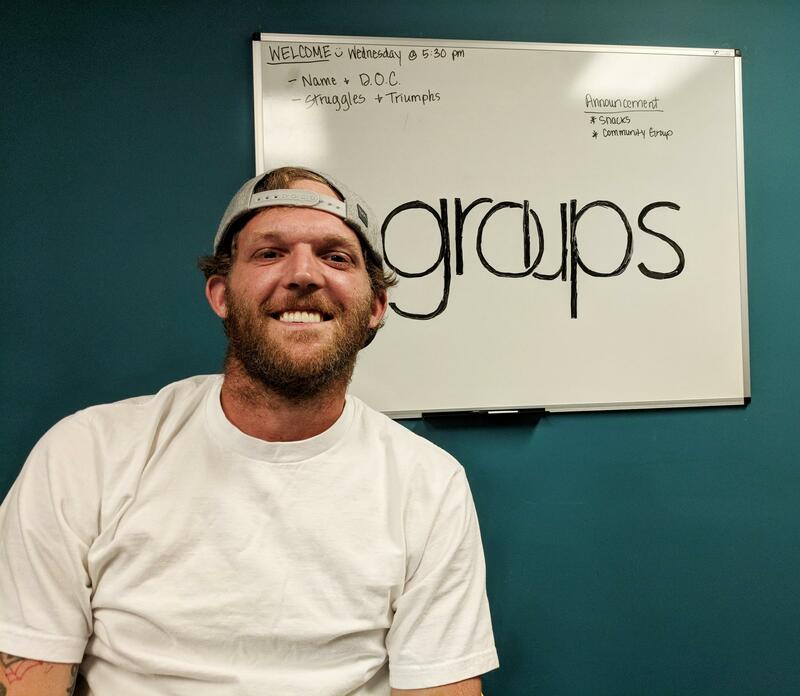 The “this” he’s talking about Groups, the drug recovery program where we’ve met tonight. Its Bakersfield location opened its doors last May. The goal: Reduce dependence on opioids like heroin, oxycontin and fentanyl, and prevent deaths from overdosing. Although California is not at the epicenter, the San Joaquin Valley has been hit hard. And the problem has reached a crisis point nationwide: For the first time ever, the National Safety Council has estimated that the odds of dying in a car accident have been eclipsed by those of dying from an opioid overdose. Have a story to share about opioids? Contact reporter Kerry Klein at 559-862-2714 or kerry@kvpr.org. 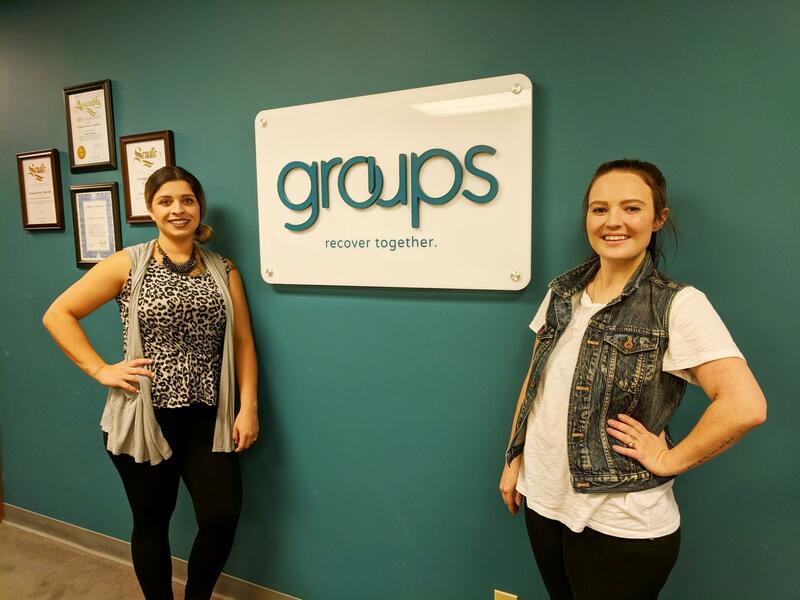 Substance abuse counselor Ariel Turner, left, and administrative assistant Mary Lora run weekly group sessions for those recovering from opioid abuse. The program typically costs $65 a week, not including the cost of buprenorphine, but a new state grant allows clients to attend for free. Research increasingly shows that MAT programs work better for recovery than trying to quit cold turkey. In Baltimore, for instance, a study showed a correlation between buprenorphine and a drop in overdose deaths from heroin. In Kern County, though, MAT is hard to find. 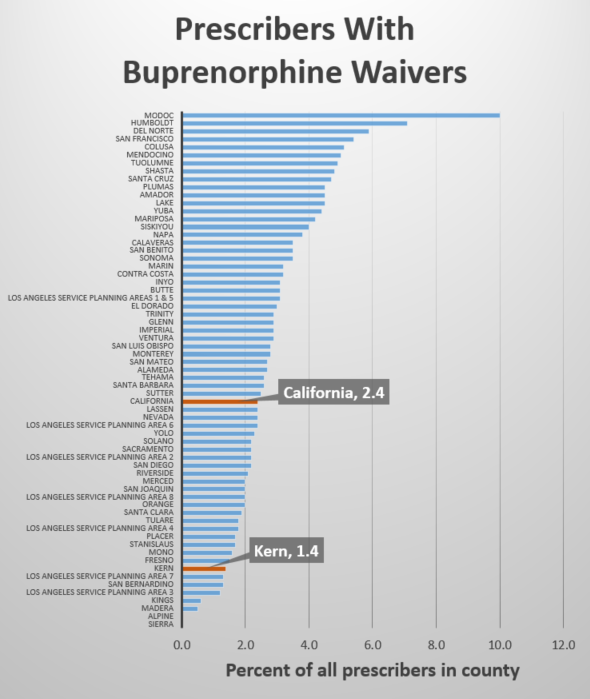 Kern has one of the biggest treatment gaps in the state. The Urban Institute estimates nearly 8,000 people in the county suffer from opioid use disorder, and almost three quarters of them lack access to treatment. Estimates from the county public health department suggest the gap could be even larger. “If every single bed and chair was full in this entire county, there would still be a huge amount of people who needed treatment and couldn't get it,” says Ariel Turner, a substance abuse counselor with Groups. Turner says treatment gaps here are partly a result of persistent stereotypes and outdated attitudes toward addiction. Many view users as degenerates and criminals, and feel that buprenorphine and methadone only enable them to keep using. Another reason patients have a tough time accessing medication is so few providers offer it. For one, they have to either work at clinics like Aegis or get a special waiver from the federal government. But as of a year ago, less than 2% of all prescribers in the county were waivered. Waivers do require extra hours of training, but Moreno says doctors are overly concerned about how disruptive these patients can be. “You do have your difficult patient or two, but for the most part it’s very pleasant and rewarding to be able to treat our patients,” he says. Plus, health officials and law enforcement are already stretched thin taking care of another long-standing drug problem: methamphetamine. This is the third attempt at recovery for Larry Bostick, who became addicted to prescription opioids then heroin following a horrific traffic accident in 2013. As of January 2019, he's been sober for seven months. In today’s session, he sees a familiar face: A guy he met through his former heroin dealer. They sit in front of a sign reading “Groups: Recover Together” and chat about healing. They talk about how buprenorphine works—“it keeps you honest,” Bostick says—and joke about how much more money they have without feeding a drug habit. This story was reported with the support of a 2018 Data Fellowship from the USC Center For Health Journalism. It’s the first in a series of reports about opioid addiction and recovery in the San Joaquin Valley. Law enforcement and health professionals in Fresno are reeling after three people overdosed last week on the opioid drug fentanyl. The men snorted what they thought was cocaine, said Fresno Deputy Police Chief Pat Farmer in a press conference on Monday. The three men, who took the drug together on January 7, felt something was wrong but fell unconscious and were discovered by a neighbor. Last year, U.S. life expectancy fell for the first time in over 20 years. At the same time, new data from four valley counties show that the death rate has increased particularly among whites. Over the last 20 years, the death rates among communities of color in the San Joaquin Valley have fallen. But at the same time, white death rates have notably increased, particularly for adults aged 40-64. Dr. Steven Woolf of Virginia Commonwealth University says opioid use is only partially to blame. Recently, you may have heard a startling statistic: drug overdoses now kill more Americans than car accidents. For some years, the same holds true here in the San Joaquin Valley. The lion’s share of those overdoses are from opioids—street drugs and heavy-duty painkillers either derived from opium or made in a lab. Now, health officials are trying to prevent the problem from becoming worse.